Amongst the eclipses, retrogrades and solar flares being experienced, we also have the potent added energies of The Lion’s Gate! We are definitely being asked to transform into our highest Being of Light through releasing of the old to allow the new. This is a magical time of healing and manifestation. It has been a whirlwind for me, with many energetic messages coming to me. The energy truly assists us to become our most authentic selves by letting go of the past, old belief systems, fears and more to be ready for positive forward momentum to come starting around September and into the fall. Are you ready? Please read my latest article, see below, posted on The Wellness Universe for more insights and information. If you would like further clarity for you, contact me for a Reiki appointment, Tarot Reading or Akashic Records reading, all of which can help you energetically release and be ready to be refreshed, renewed and recharged for the next steps in your healing journey, soul path, evolution and enlightenment. 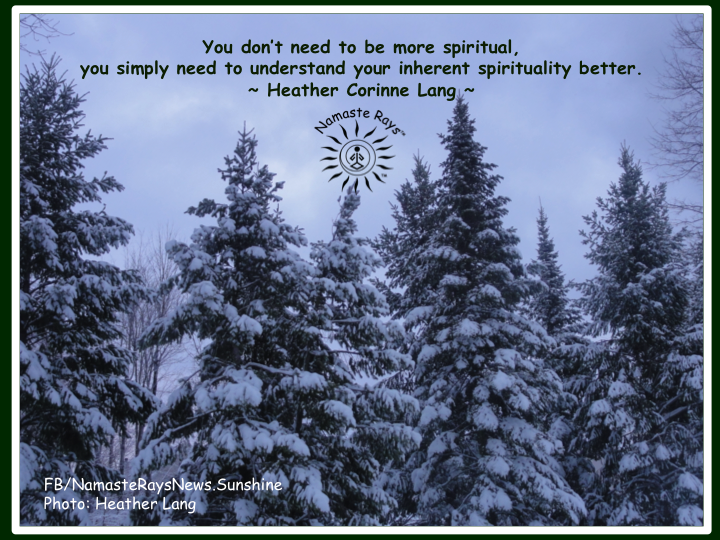 You don’t need to be more spiritual, you simply need to understand your inherent spirituality better. On this very special day to spread Peace, Joy, Love & Light, I simply wish to remind you to uncover your inherent spirituality. This inherent spirituality is your core and is already Glowing in Peace, Radiating with Joy, Shimmering with Love and Brightly Shining with Light. Your True Nature is Peace, Joy, Love & Light. When you deeply understand this, all else washes away, because you know you are not only a part of Nature and the Universal Consciousness, you are Nature and the Universal Consciousness. And, in this state, we are both our unique human form, and our Higher Divine Self, and are helping to bring about heaven on earth, increasing the vibration of Gaia, bringing All into One Love. May you understand and live your inherent spirituality better.